Where to find Alton hotels near an airport? Where can I find hotels in Alton that are near tourist attractions? 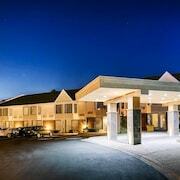 Looking to find a hotel or apartment in Southern Ontario, particularly in or around Alton? Within a 0.1-kilometre (0.1-mile) radius of central Alton there are 5 Expedia-recommended long-stay and short-stay accommodation options from which to choose. 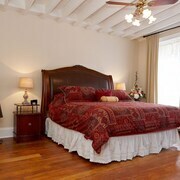 The Millcroft Inn & Spa is a favorite accommodation choice as it's so close to Alton's town center. 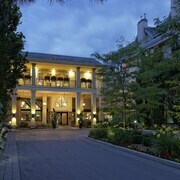 The Millcroft Inn & Spa is 0.7 kilometres (0.4 miles) from the center of Alton. 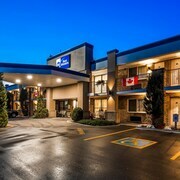 Another option is the Best Western Plus Orangeville Inn & Suites, which is positioned 7 kilometres (4 miles) away. 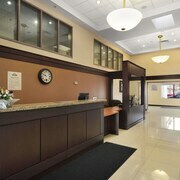 Some other Expedia-listed hotels are the Best Western Inn On The Hill and the Atlanta Motel. Once you have learned about Alton, why not explore a little further afield? The Southern Ontario district has plenty of attractions. Spend time at Southern Ontario's traditional villages and churches and admire its beaches, coastal plains and forests. Fun-loving travelers might try their hand at skiing in this part of Canada. Looking for more things to do? Spend a few hours exploring the Theatre Orangeville and Island Lake Conservation Area in Orangeville, 10 kilometres (6 miles) to the north of Alton. Should you wish to spend a night or two in Orangeville, check out the room rates at the Orangeville Motel and Howard Johnson Orangeville. 30 kilometres (19 miles) to the southeast of Alton is Brampton, which is home to the Courtyard by Marriott Toronto Brampton and The Marigold Hotel. While visiting Brampton, a couple of places to add to your itinerary are Wild Water Kingdom and the Rose Theatre. 40 kilometres (25 miles) from Alton is Guelph, a regional center with a population of 120,000, home to great places to see like the University of Guelph, Stone Road Mall and Funmazing Playcentre. The Guelph Civic Museum and the Victoria Park Golf Club East are also worth your time. 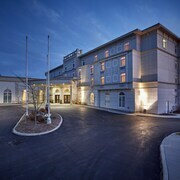 The Delta Hotels by Marriott Guelph Conference Centre and Hampton Inn & Suites by Hilton - Guelph are all great Expedia-listed accommodation options in Guelph. For travelers planning on arriving or departing through Pearson International Airport, you may choose to book some accommodation at Sheraton Gateway Hotel In Toronto International Airport, or Residence Inn by Marriott Toronto Airport, both of which are a short trip away. What are the most popular Alton hotels? Are there hotels in other cities near Alton? 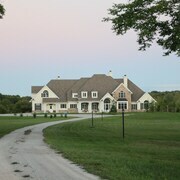 What other types of accommodations are available in Alton? Explore Alton with Expedia.ca’s Travel Guides to find the best flights, cars, holiday packages and more!